We have been awarded the Sainsbury’s School Games Gold Award for our dedication to providing excellent sporting opportunities to our children. This prestigious award has a rigorous criteria. Needless to say, we are incredibly proud of this achievement, not least because we have 78% engagement in extra-curricular sports in KS2, but also because we competed in over 16 different inter-school sporting competitions during last academic year. The result of this was the honour to represent Vale Royal at the Summer School County Games in two events, Orienteering and Golf. We won the silver in the latter! Over 60% of our KS2 children represented the school at a level 2 (inter-school) competition. Experiences like these not only promote a wide range of positive values, they spur children on to attend local sports clubs where we they continue to represent our locality in competitions. We have a number of children training with professional football teams; and our own 9-a-side team won the ‘Northwich Mini-League’, bringing yet more silverware to school and promotion into the next division. We are committed to motivating and encouraging children to be physically active. To do this, we have a wide and varied programme for sport, both within the school day and with the range of extra-curricular clubs and activities provided. 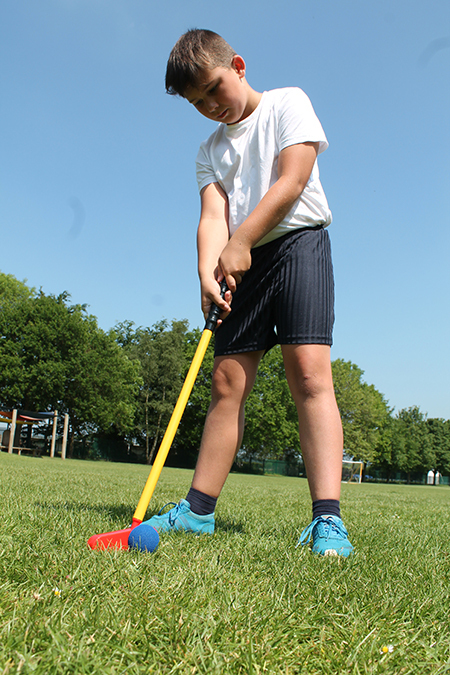 Over the course of an academic year, children have the opportunity to take part in over 20 sports-based extra-curricular clubs ranging from traditional team sports to outdoor adventure games. We pride ourselves on helping every learner find an activity that they can get excited by.